Only have sporadic access to a laptop so probably won't bother with anything fancy graphic-wise, hope you enjoy anyway. 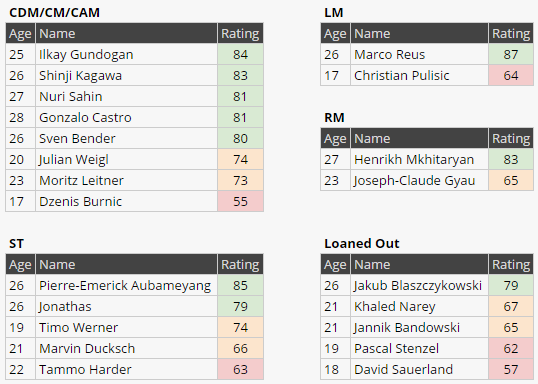 Not gonna bother with a pre season or first summer transfer window, did a trial career up until January (in game) to play around with the sliders a bit so eager to just jump in and get started. Couple of reserves. Borussia Dortmund were left ruing what might have been after coming from behind to draw their Bundesliga opener at home to Borussia Moenchengladbach. It was far from a polished performance from Thomas Tuchel's new side, but they will feel they did enough to pick up all three points. It was a rather timid opening fifteen minutes or so with both sides finding their feet in the new campaign, but the opener arrived not long after. Xhaka swung in a corner from the left which new man between the sticks Roman Bürki failed to deal with, before the ball eventually fell to Gündoğan on the edge of his own area. The German hesitated before Patrick Herrmann nipped in to steal the ball and fire home from around 12 yards. 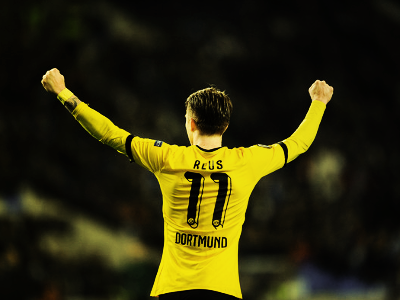 The hosts responded well to this early setback with Piszczek and Reus firing just wide of either post. Nuri Şahin came even closer just before the interval, hitting the base of the post with a low rasping drive from the edge of the area, but they went into the break behind, despite little attacking threat from Moenchengladbach. The second half followed a similar pattern as the visitors kept Dortmund at bay, protecting their lead with a solid defensive display. Hummels and Bender picked up yellow cards as their frustration got the better of them, clearly unimpressed with time wasting tactics adopted by the away team. 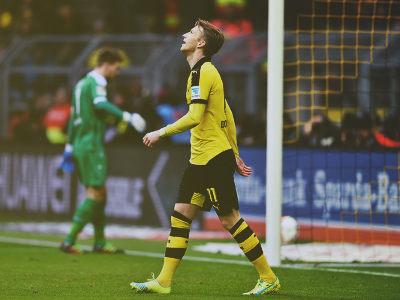 Dortmund threw on Kagawa and Ramos in search of an equaliser and it finally arrived with ten minutes remaining. A fine passing move eventually landed at the feet of Piszczek, who buried a shot into the far corner of the net from twenty yards. 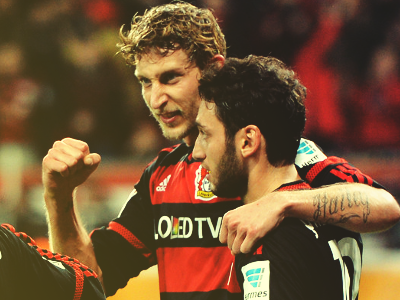 Mkhitaryan almost won it at the death but his snap shot went straight into the welcoming arms of Sommer. A disappointing start, however the season is at an embryonic stage with many twists and turns ahead. Pretty nice graphics there. Good luck! Thanks all, yeah @Chris, always tough going behind but it's extremely rewarding coming back, especially on legendary/full manual, would probably have settled for a point if you asked me at half time. Legendary, full manual. Man you guys are a lot braver than me. Lol. Not the worst start to a season. Gladbach is tricky good. Legen...WHAT? I struggle playing with manual controls on World Class, I can't imagine how hard it is on Legendary. Well done mate! Dortmund were stunned by Ingolstadt as they succumbed to a 2-1 defeat, a result that didn't flatter the newly promoted side at all. After only mustering a draw at home to Moenchengladbach in week one, it was imperative that BVB picked up maximum points here to kick start their season, but they started in the worst possible manner yet again. 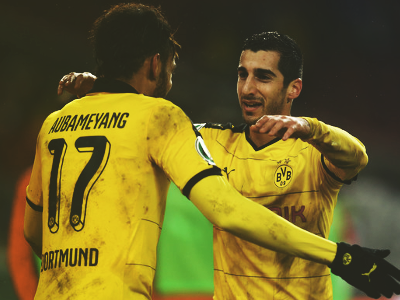 Too many individual mistakes cost them in the first half of last season and as recently as last week when Gündoğan gifted a goal to the visitors, and this time it was Piszczek's turn to be charitable, criminally giving the ball away 30 yards from his own goal, the ball found it's way to Morales who finished coolly into the top corner sending the home fans into raptures. The Polish right back made amends however as Dortmund found the equaliser before the break, making a run down the unfamiliar left hand side he got to the byline and crossed in and inch perfect ball for Mkhitaryan who powerfully headed home. On the other side of half time, Marco Reus had the ball in the net, slotting it under the body of the keeper after a fine through pass from Gündoğan, but the linesman's late flag meant the scoreline remained 1-1. 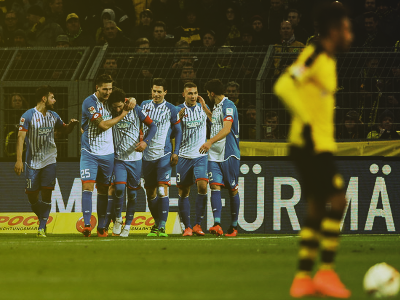 That came back to haunt Dortmund as Ingolstadt won a free kick on the right 15 minutes from time. The ball was floated in and Hinterseer rose above Hummels to send a looping header over the despairing Burki into the back of the net. Almost straight from the restart, the Ingolstadt keeper got a mere toe to a Sven Bender effort, diverting the ball onto the post and out for the relative safety of a corner. That was all Dortmund could manage though, and to complete their misery, Gündoğan saw red for a petulant kick out at Morales. Even at this early stage of the season, for a club with big aspirations, things are looking bleak. 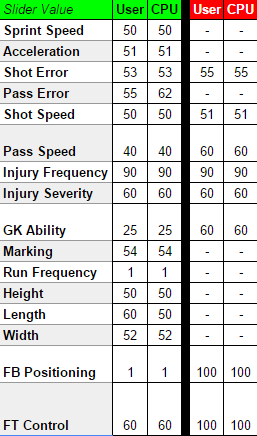 Cheers, legendary/manual on default sliders is literally the worst thing imaginable so using the following, although as you can see from the last result, it still requires near perfection! Thomas Tuchel : First and foremost, a vital win, it doesn't matter how you go about it, the three points are all that matters at the end of the day. I thought we played very well and the scoreline flatters Hertha a bit. We took the lead for the first time this season and you would think that's the lift we needed but silly mistakes cost us again. You begin to wonder at 2-1 down if we're ever destined to win a game! But the players showed character and desire I've seen in training all week and quickly turned it around in a fine couple of minutes. I was particularly pleased with Gonzalo Castro stepping in for the suspended Ikay today, he won the midfield battle for us and of course scored the winning goal. Hopefully this is the stepping stone for us after a shaky start. I don't think it's right to look at the bigger picture this early in the season. We will just take each game as it comes and prepare accordingly. Thomas Tuchel : Obviously a disappointing one to take given our dominance out there today. Chance creation I'm pleased with, the ball just didn't seem to want to go in for us but defensively we have to remain focused at all times. We concede with virtually the first chance of the game from Hannover and while it was admittedly a fine header we must deal with the threat before it's too late. We have fallen behind now in every game this season and that is something we will have to take a look at addressing. We can't do anything about this defeat now, we must move on and look towards the European game on Thursday evening. Thomas Tuchel : We made eleven changes to the side tonight to see what our youth players were capable of so this result is not the end of the world, we still have five more games to put things right. The media accused us of disrespect in the build up but it's nonsense. We know Molde are a good team and they proved this tonight. Fixtures are coming thick and fast so we need our fringe players to be able to step up whenever required and the playing time tonight will do them no harm. Yeah I dunno if it's just me or a psychological thing but away games do feel a lot tougher. Well it did allow me to take my mind off the league but I forgot to put it back on the Europa League. Thomas Tuchel : We came across a very physical Leverkusen side today and I think the referee was too lenient. If he punished them in the same way Marcel received a red for his challenge before half time then they finish with 7 or 8 men on the field. They came here to bully and throw us off our game plan and it worked. No getting away from it, we were poor and must remain disciplined when teams come here and try to disrupt us like today. 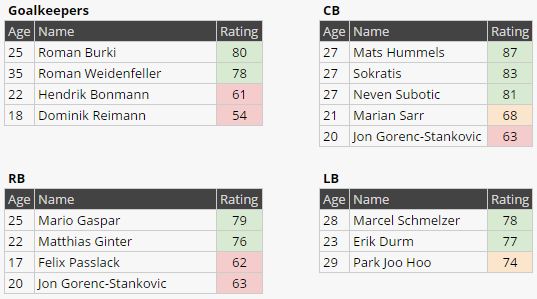 I will be forced to make changes against Hoffenheim because this is not an acceptable level of performance. Thomas Tuchel : Another frustrating day for us. It's the first game we haven't been behind in but to throw away the three points like that at the death almost feels like a defeat. It was good to get a couple of goals after the recent drought but scoring goals is meaningless if they're accompanied by conceding them at the other end. One win in six league games is very poor form for a club with aspirations like our own, it almost echoes last season when the club were bottom at Christmas. There is too much quality in the side to be down at this end of the table and we must improve, for teams are relishing playing us at this moment in time. Not gonna lie, I'm starting to worry about your job security a little bit Hopefully the results pick up a bit. Don't give up though, I believe in you! 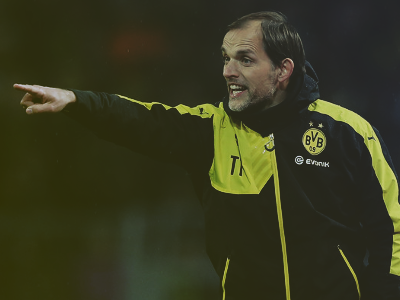 Thomas Tuchel : It would be nice to do things the easy way for once! Much needed win for us. We appeared to take the foot off the gas in the 2nd half to guard against complacency, but better that than getting caught out and throwing away another lead. We did concede eventually but always looked in control of the match and we're delighted to pick up three points. There's a lot of talk in the media about a lack of clean sheets but we don't know what that is so I can't possibly comment. I've a habit of being sacked over the years so all the more motivation not to let it happen during this spell!